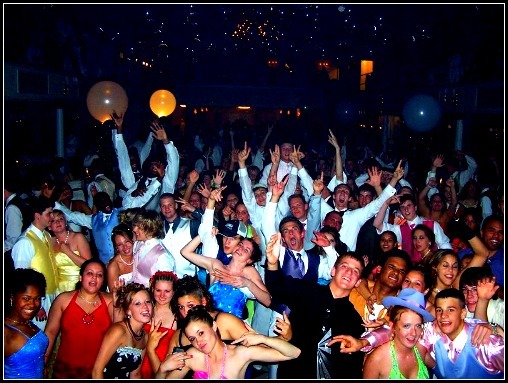 Are you looking for a nightclub style DJ for your school dance who can mix and who knows new music? Are you looking for the premiere New Orleans DJ for your next event? We know a teenage crowd can sometimes be very specific about their music, so listening to their suggestions is important. That is why we spend a lot of time researching the hottest trends in music, fashion and entertainment; and then we weave all of those trends into a school dance with style! Our DJ’s keep up with all of that new music and the remixes too… we even create our own mixes! We speak clearly, we mix current and classic dance floor favorites together seamlessly, and we only play the “radio lyrics” versions! Now ask yourself a question: Do you want a DJ that sounds like they just plugged in an iPod? Or do you want a DJ that knows how to ROCK A PARTY?! We’ve played college and school dances all over the New Orleans area and built our reputation for filling dance-floors! We only have experienced, professional DJs who want your celebration to go as well as you do! Hey, we know what great music means to you, and THAT’S why we’re here! Ooh La La Music Company is in business because we know that the music can “make or break” any celebration! Whether it’s homecoming, prom or any other dance; we understand the effort that’s put into it… by both staff and students. We understand that you want it to be as perfect as possible. Let us help you give your students or classmates something to remember! Because let’s face it, high school memories; whether good or bad; can stay with us forever! Some of most recent clients!